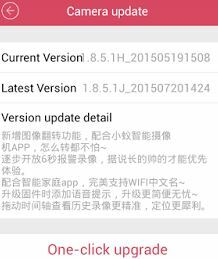 红外夜视, which is very good for such a small device. I was lucky enough to receives the 夜视版 so there are LED's surrounding the lens and allowing a comfortable vision at night. It is worth noting that a 标准版exists for a few 元 less. 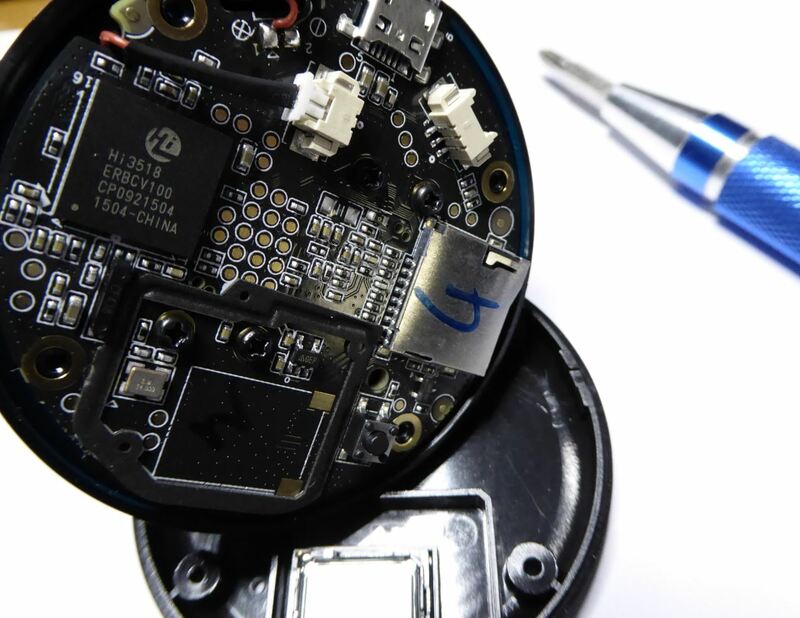 Many brands now use that form factor with very little, if any, change in the hardware. What really makes the difference is the quality of the smartphone software provided. The QR codes found in the Chinese-only printed manual are pointing at apps in Chinese. The most complete one is the SmartHome app called "Small Ants Camera app" (IOS version is available on iTunes). can be used to register the camera to the local network: You just need to show a QR to the camera to transmit the router information. 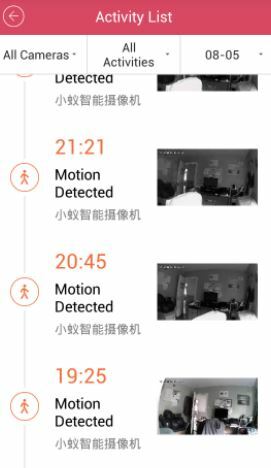 Rather than using beep prompts to indicate the reception of the QR code, the XiaoYi uses pre-recorded voice messages in Chinese (very good sound quality from the speaker by the way), but there's no need to understand the language to find out when the camera is configured: the LED will go from blinking to steady. The interface is intuitive but also limited: you can turn on the motion detection but cannot set the sensitivity. You can enable the motion alert, but not setup an email recipient (mobile phone notification only). The XioaYi is equipped with the very popular Hi3518 chipset and not only displays the video stream in 720P BUT also record in this resolution, many models I've seen lately record only in 640*340! The 2-way audio is also very good with a clear and loud output quality from the speaker and a very sensitive microphone. This could actually allow for a true 2-way communication experience! I could not make this work (only port 80 was detected by port scanner, not serving any valid http or rtsp content). 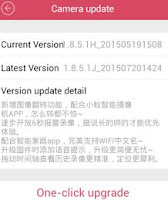 According to the Xiaomi forum, rtsp support might depend on the firmware installed (I'm using the latest official). 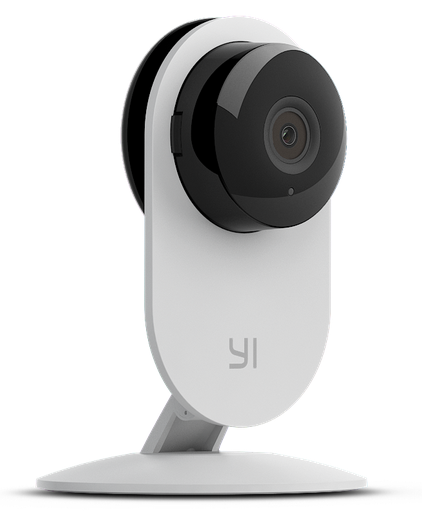 The XiaoYi is a nice little camera in all aspects, easy to set up, compact and with a stable articulated base. However, the main difference with the competition resides in the mobile apps. On this ground, the Xiaomi is still slightly behind its rivals. 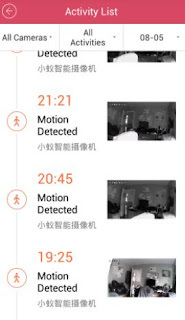 All the similar devices likes Ant QF605 (Escam/Amovision), Zmodo, or Eyesight ES-IP810W are bound to different sets of device ID's so the app are not interchangeable. 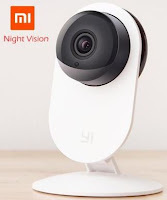 I tried the Escam apk without success (reviews on the web are in favor of Xiaomi anyway) and I would have loved to use the better EyeSight app. 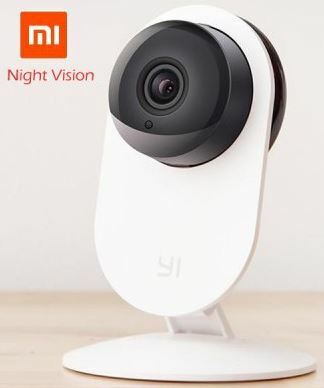 Gearbest has the night-vision version for 31.99$. Be aware of their second reference which is likely the "standard version"(no night-vision). For about the same price, the EyeSight ES-IP810W is a better deal in my opinion (See the review here). 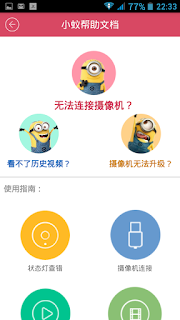 - Easy to setup despite the voice prompts in Chinese. 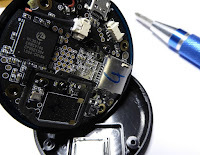 - RTSP streaming not working with the firmware tested. - Social features (Weibo, QQ) and Q&A aimed at Chinese market. Special thanks to Lindell @ GearBest for providing the sample reviewed here. Interesting - but more than a few flaws. Thanks for your visit Alastair! can you please reccomend good image quality ip camera with pan tilt, some optical zoom, 720p, which will support Synology surveillance station? (cheap of course). thanx. cheap - I mean 150USD max. 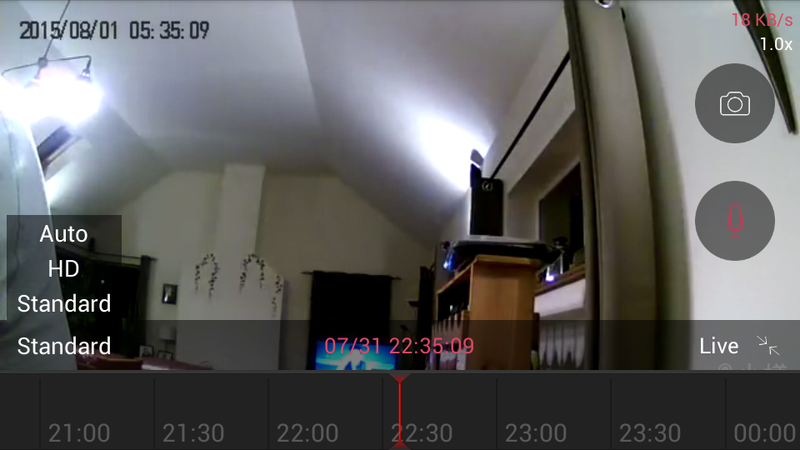 But 720p is treated as low resolution now if you want to get something useful out of the video. OK. So some other recomendation? I need wifi, pan tilt, some optical zoom (not a must) and best image quality. The higher resolution the better. Could be even indoor as I have build a case. Max price aroung 150USD. Thank you for ideas!